OOTP Dynasty Reports Tell us about the OOTP dynasties you have built! Introducing: The South Georgia Baseball League! South Georgia's capital, Johanssen, at night. 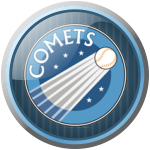 This league is actually the result of nearly a decade of gradual work on a SimCity 4 region and, after 12 months of work inside OOTP, a corresponding baseball league was added! The league is centered around South Georgia Island, an actual island situated between the southern tip of South America and Antarctica. In my fictional universe, global warming had caused this area to warm up sufficiently to have a cool, but reasonably comfortable climate. Similar to somewhere like Iceland or the southern Alaska panhandle. Temperatures hover between 45 and 70 F during the year. Initially, the island was largely uninhabited. But, gradually, research stations were set up around the south end of the island from countries around the world to study the effects of the warming on the flora and fauna. These stations gradually grew into small villages as temperatures improved, and eventually grew into towns. Meanwhile, other (non-science-based) industries opened up to accommodate the boom in population, and eventually the area became a full-fledged country! From the 1980s until the 2000s, the area was a scientific utopia, with every conceivable scientific lab and base present somewhere on the island. - The northern 2/3rd of the country is off-limits to civillian habitation (the "National Park District") in order to preserve wildlife numbers and continue scientific research. - The southern 1/3rd of the island is where the population is situated, split into four Districts: Stromness, Ross, Capital and Carse. 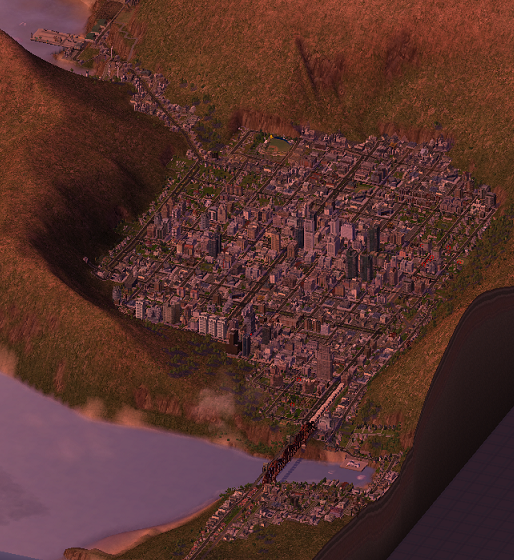 In the SimCity 4 world, the country is now highly modernized, with a country-wide rail line and road/highway system which loop through all the major cities. Because of the diversity of initial settlers, the cities and towns have English, Russian, Scandinavian, Eastern European and South American names. You will also notice a great variety in the players' names and nationalities in the league. They are descendants (or fellow countrymen/women) of the countries who initially set up research stations: chiefly Norway, Sweden, USA, Britain, Russia and Argentina. Note: In my OOTP world, "South Georgia Island" is listed as a country (short name "SGI") with it's current flag. Due to the initial number of American scientists, a small baseball league was introduced in the early years of the island as a way to keep workers occupied during down time, with each base building their own baseball diamond. Gradually, even bases from non-traditional baseball countries began playing the sport. As the island slowly evolved into a country, baseball took root as the sport of choice. By the early-2010s, thanks to the boom, South Georgia boasted a population of just under a million people. By now, baseball was being played at the Little League, High School and College level... so a pro league was proposed, and the 12-team "South Georgia Baseball League" was introduced! Unlike most pro leagues in the southern hemisphere, the SGBL operates from a traditional March-August timeline, crossing the short, cool 'winter' season. 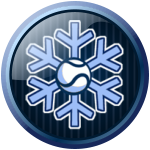 However, even in the cool months, temperatures stay above freezing and hover around 45 F. Opening Day and the Post-Season coincides with the best weather, leaving the citizens to enjoy the rest of the southern 'summer' during the off-season. The season runs for 126 games. There are also two small AAA leagues, a College league, and three High School leagues on the island. 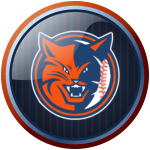 City and Team profiles to come, including aerial shots of the cities, as well as a review of how the new pro baseball season played out! If you own SimCity 4 and want to take a look around South Georgia Island, download the zip file below. 2) Once inside the game, select "Load Region", and voila! Last edited by rleb; 03-23-2019 at 07:25 PM. Location: The OOTP Forums. Always. I'll make sure to check in every once in a while. 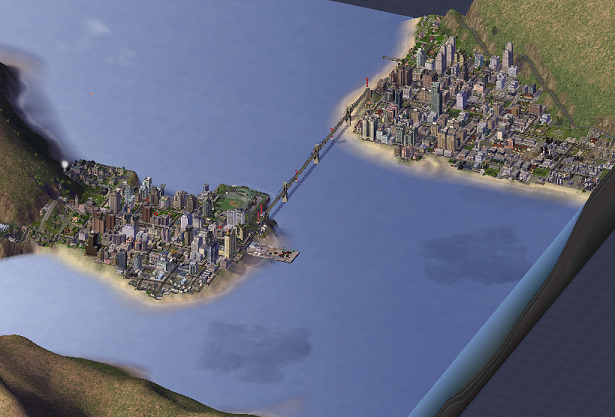 Pajt, on the left, and Vorten, on the right, make up this unique twin-city. The city began as a small Norwegian science station measuring the ice flow in the Drygalski Fjord. The original scientists, when arriving by ship, commented that it looked like a small 'wart' (or, vorten, in Norwegian) compared to the impressive mountain range that surrounded the area. Eventually, "Drygalski Station" became known simply as "Vorten". Meanwhile, on the neighbouring opposite parcel of land on the mouth of the fjord, a Croatian station founded by Ante Pajt was started. Their intent was to measure local soil samples to learn more about the history of the island. They became known as the "Pajt Station", or simply, Pajt. With time, both stations (particularly Pajt) realized that the calm waters and overall pleasant temperatures were great for recreational vessels and opened South Georgia's first marina for civillian use in 1991. By the early-90s, both Pajt and Vorten had become towns of a few thousand residents, and in 1995, the Pajt-Vorten Bridge was constructed: the first major transport link built on the island. Quickly, the two communities combined to become the "City of Pajt-Vorten" in 1997. Over the next decade, Pajt-Vorten became one of Carse District's best economies, mostly focusing on tourism with it's now nationally-known marina, and the "Carse Casino". The city now boasts 51,000 residents on a pair of densely-populated peninsulas on opposite sides of the Drygalski. In 2015, the Pajt-Vorten Municipal Stadium was upgraded from 2,000 to 6,000 seats to welcome the Pajt-Vorten Comets of the SGBL. The team was named after the sensational astronomy possible in the area with great Comet sightings, owing to the near-total lack of light just outside the city in the mountains. Last edited by rleb; 03-23-2019 at 07:49 PM. An aerial view of Annenkov. Moltke Park can be seen on the left, two-thirds of the way uphill. What do you do when your scientific research mine is several thousand feet uphill, and several thousand feet inland from your port? Simple! ...create a ridiculous road system from the mine to the port! This was the reality in Annenkov for over a decade. The Russian research station situated themselves in one of the South Georgia's southernmost, and most mountainous areas. It it so remote, in fact, that the nation-wide South Georgia Rail network cannot reach the city! They are the only major population centre on the island without access to SG Rail. Once South Georgia became an independant country in 1989, work on the mine continued, but the creature comforts of a city began to trickle in. However, finding room for these buildings was incredibly tough. Three decades later, the city of 35,000 is an engineering marvel, with buildings seemingly built on top of each other! The city harbours South Georgia's best-known trades school, Moltke College. If you want to become a plumber, sheet metal fabricator, welder, carpenter or mechanic, this is the college you need to attend. The school originally housed a baseball park next to the college (Moltke Park), but in 2010, the fine folks in town promptly bulldozed the space from a closed mine and built a new Moltke Park! 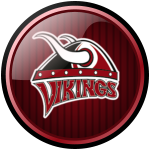 The facility was large enough to be approved as the home of the Annenkov Vikings in the SGBL! Annenkov is, first and foremost, a tough blue collar town. A lack of access to air and rail transport is only the beginning. There are no Lamborghinis driving here, no glitzy casinos. It is a "beer and red meat" kind of town. They also want their baseball team to play the same way: gritty, tough and without excuses. Residents here tend to stick around and are a fiercely proud bunch. Last edited by rleb; 09-23-2018 at 12:00 AM. A map of Salvesen. The city's sea port is in the upper-left, while the airport is out of view, but is situated to the left of the image (accessible only by road tunnel). On South Georgia, a well-known element of the weather is the wind. It blows from west to east quite harshly, leaving SGI's western coast much more exposed to the elements. 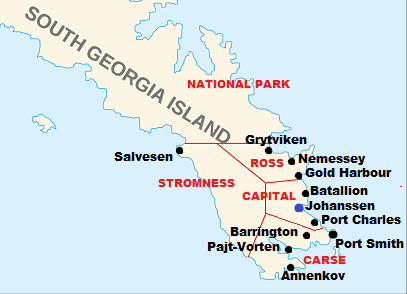 Most cities lie on South Georgia's calmer eastern coast, shielded by the mountains. However, researchers found one location on the island's west coast where habitation could be managable. 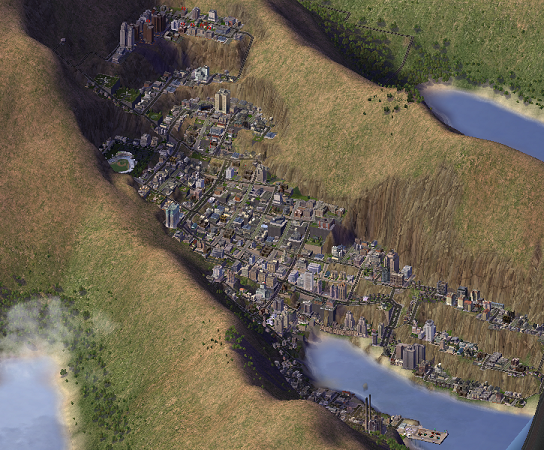 Situated inside a crater, the city was founded to give the country a western link for incoming ships and aircraft. Salvesen was thus born out of necessity. In 1994, the town built the Stromness District Airport: the island's first proper airport. Carved out of a mountainside and susceptible to high winds, the airport is known as one of the toughest in the world to land passenger aircraft, and airlines world-wide with Salvesen as a destination employ only their top talent for the journey. The city's sea port is also a source of much demand, with many products arriving in the country from Asia via sea shipment. 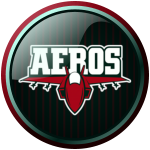 The baseball team was named the Salvesen Aeros, after the world-famous (infamous?) airport. With time, a road and rail link was carved through the center of the island to Grytviken to the east, and hugging the coast line south to the Carse region in Pajt-Vorten and Annenkov. Despite the isolation, the city continues to be a vital link for the country. Last edited by rleb; 05-01-2018 at 11:52 PM. Grytviken's downtown area at night. If you want a true taste of South Georgian entertainment and culture, then you need to visit the country's largest city Grytviken. The city is named after the island's first settlement: a Scandanavian whaling station (founded in the early 1900s) situated several miles north. However, the current-day Grytviken is much different than it's simple predecessor. The city features a vibrant night life (yes, there can be night life in the antarctic!) thanks in part to Antarctic University... the island's second-largest post-secondary school. The city is also the home of GSN (Georgia Sports Network, the country's trusted TV sports station. Sometimes nicknamed the "Grytviken Sports Network" for it's bias towards the 'big city' sports teams). They also have the country's only zoo, an enormous conference complex, a multi-language acting school, and some of the highest-rated seafood restaurants in the world. The city's main radio station, "Cool Radio 99.3" features Klaus "Killer" Lund: South Georgia's answer to Howard Stern. Grytviken's downtown arts scene is also unique.... in the sense that plays are presented in either English, Norwegian or Swedish (sometimes a mix of all three)... the three cultural sources of most of the residents. The SGBL's 'Grytviken Icebergs' are the best-funded team, playing in one of the nation's largest stadiums. They are expected to be contenders on a year-to-year basis. Residents here expect winners. It seems like the "New York/L.A." mentality might be rubbing off on SGI's big cats. Last edited by rleb; 05-01-2018 at 11:53 PM. Love everything about this thread. You sir, have a new fan. Long live the SGBL! Once I finish introducing the 12 franchises, I will go through some of the action from SGBL's initial season in 2015! Thanks for the interest, guys! It certainly was a match made in heaven for me, discovering these two games over time. 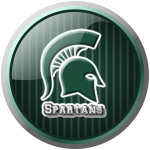 Profile for the "Husvik Valley Spartans" (Grytviken's posh, upper-class subdivision, and cross-town rival) up next! Husvik Valley's Birch Park neighbourhood. "Oh, I live in the Valley"
Just south of downtown is a section of Grytviken called the Husvik Valley. This is where much of the city's upper-class population is situated. It houses many of Grytviken's downtown professionals. Instead of the windy, cool seaside, the city's well-to-do prefer the calm winds and green grass of the Husvik Valley to make their home. The city's only private school (James Cook School) is situated in this part of town. The area has the highest level of household income on the island. As stated in Grytviken's profile, the Icebergs are the urban, hip downtown team. In contrast, Husvik Valley is their suburban cross-town rival. If you like to attend an epic pub crawl through the half-mile-long "Whiskey Street" (yes, it exists! ), or a rap battle in Swedish, then Grytviken is your town. If you are looking for a quiet, peaceful community where the only funky smells come from a freshly-cut front yard, then Husvik Valley is it. When Grytviken became the island's intellectual center in the 1990s, the area now known as "the Valley" was a natural byproduct. Away from the hoopla and excitement, it was the perfect place to relax after a long day's work. As the city grew, so did the Valley, and both Grytviken and Husvik Valley took on very different identities. In 2013, when the SGBL was announced and Grytviken was rumored to be one of the founding teams, a Husvik Valley real estate mogul decided "their" city would make a great rival. Paul Barrett, founder of Barrett Properties, which has become the largest builder of high-end apartment units in town, built the 7,000-seat "Barrett Properties Park" in the south end, and founded the Husvik Valley Spartans. A Spartans game is a very different experience from an Icebergs game. Barrett Properties Park (not surprisingly) has the highest ticket prices in the league, and is the only stadium in the league to serve a full steak meal at games if you order ahead..... PROPER steak! From a reputable steakhouse! Seats even come with a little foldable airplane tray, strapped to the back of the seat ahead of you, so you can eat your meal (a luxury other parks in the league didn't incorporate). But, if you are looking for the best baseball experience money can buy, then this is your spot. The running joke is that the luxury boxes sell out faster than the stadium seats... which might not be entirely surprising. We will see if this posh team can find enough grit and financial clout to challenge for glory! Quality. Keep this up mate!! A look at Royal Bay, and the city of Nemessey. Unlike a lot of cities on South Georgia, Nemessey was not initially a research station. When the country became more well-rounded and needed supplies such as lumber and steel, a port larger than what currently existed needed to be built for a sufficient quantity to be delivered. Royal Bay was chosen as the prime location for it's lengthy ice-free availability, and it's proximity to Grytviken: the country's largest booming city. Around the port, the town of Nemessey was built. Named after the town's initial mayor, frenchman Jacques Nemessey, the town quickly became South Georgia's largest steel depot and lumber yard. If the material was needed for construction, it could be found in Nemessey. Not surprisingly, the town held a disproportionnate number of large, muscular, bearded men. The running joke on the island is that "Nemessey has more chest hairs per square foot than anywhere else on the island!" Once the city grew and a proper downtown developed, Nemessey also became a curious cultural centre for young hipsters and specialty coffee shops, many from nearby Grytviken, enjoying the 'lumberjack' look. 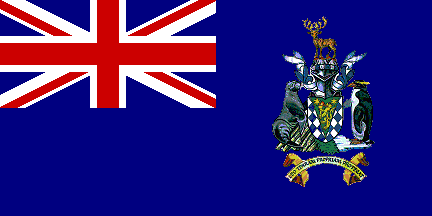 A sort of "Portland of the South Atlantic", if you will. These youngsters were able to organize large shipements of coffee beans from nearby South America, and opened cafés and roasters in the city. If you want the best coffee around, you know where to travel to. 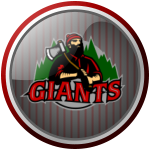 Either way, Nemessey has developed a reputation for masculinity and facial hair, and the baseball team was named the "Giants", with a prominent, bearded lumberjack as the logo. It seems appropriate for the tough men in town (or those that just like the look). Either way, it will be interesting to see how this franchise evolves with time. Last edited by rleb; 05-01-2018 at 11:54 PM. Still around! Was just away for a few days. Profiles for Gold Harbour and Batallion are coming up! A view of Gold Harbour. The four Zinasco Buildings can be seen roughly mid-image, the four identical tan-colored towers. How do you grow food on an island like South Georgia? When the island became a country, it was decided that Gold Harbour would be the location for an experiment: building a multi-story building (what looks like an office building from the outside), but completely dedicated to growing vegetables indoors, in order to feed the South Georgian population. Since the ground had been perma-frost for tens of thousands of years, growing anything there would be nearly impossible, and shipping foods to the island was also an unappealing idea, so in 1992, "The Zinasco Building" was built, and the city of Gold Harbour was built around it. Since then, three other identical buildings were built on "Zinasco Street", all accomplishing the same task. The town is now centered around food production and processing which supplies the island with it's vegetables, and is conveniently located half-way between South Georgia's two big cities (Barrington and Grytviken). Poultry, milk and other such farms are located in the nearby Arden Valley, and can be conveniently shipped by train to Gold Harbour for processing. Not surprisingly, several industries were able to flourish (excuse the pun) in the city. Industry, transportation and a sort of white-collar farming is the bread-winner for most in town. Like most areas on the island, Gold Harbour developed a baseball pedigree at the youth and high school level. When the SGBL arrived for 2015, the Zinasco Company built Station Park, and are the owners of the Gold Harbour Bobcats. Last edited by rleb; 05-01-2018 at 11:55 PM. This is AWESOME! i am SO jealous of your cities. 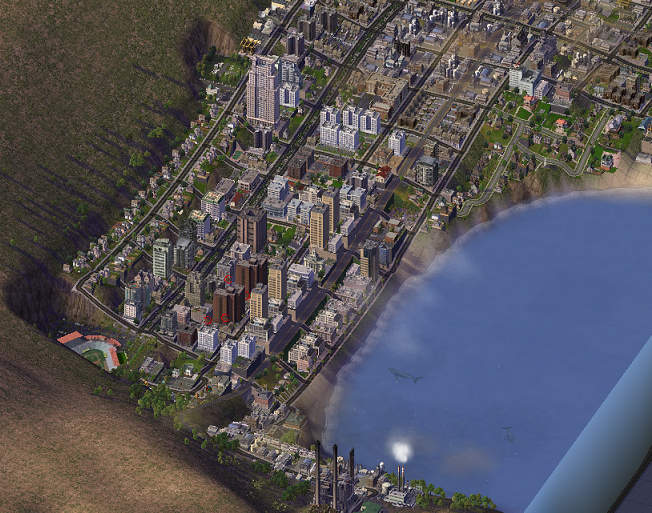 i really should get and learn SimCity. Were the cities done in a sandbox mode? Oh man... the game is addictive, pretty much like OOTP! I suppose the whole game is a sandbox-type of game. You really get the freedom to create a small town, a big metropolis, a posh tourist town, a tough industrial town.... as long as you can balance the city's budget, that's the main thing! The rest is all down to your imagination. 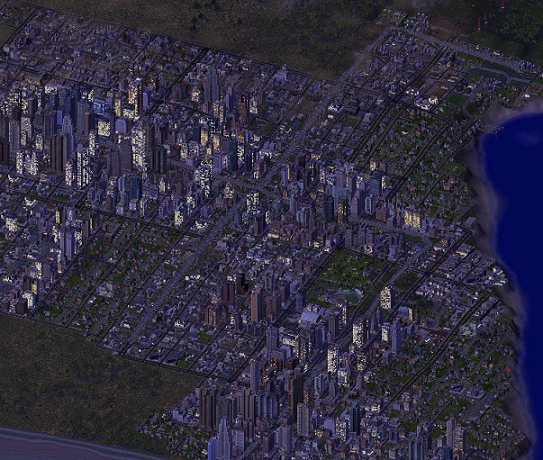 This SBGL is the result of a few years of tweaking in SimCity. My cities were created organically, based on South Georgia's geography, so I had no intent to make a baseball league at the time.